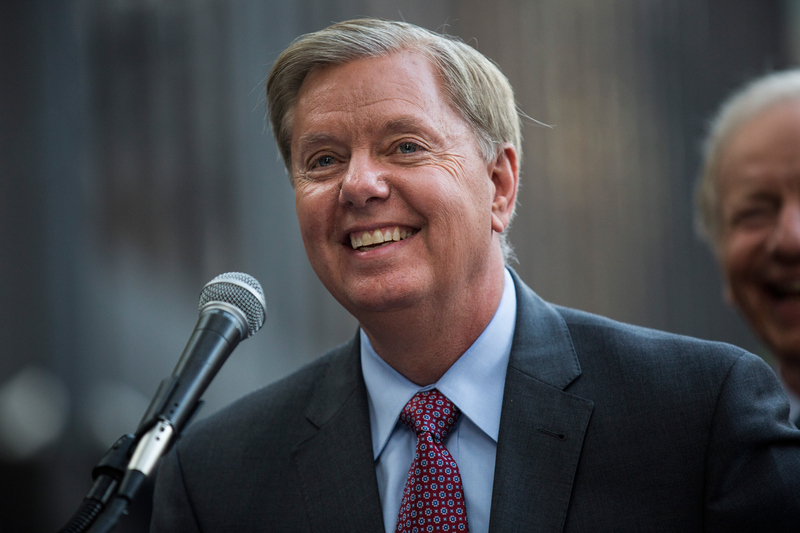 In the second GOP mini-debate on Wednesday night, South Carolina Sen. Lindsey Graham came off as a laid-back and relatable guy. He started off the debate by saying, "I wasn't the best law student. By the end of this debate, it's the most time that I've spent in any library." He went so far as to say that the first thing he'll do as president is "drink more." Graham's jokes were a welcome break from all his military talk about protecting the U.S. from ISIS's threat, and they showed Americans a very different side of the presidential hopeful. Following his sense of humor, here's what a Lindsey Graham presidency would look like in emojis, based on his desire to drink more in Washington. What's wrong with Washington is we talk too much and we don't drink enough. Ronald Reagan and Tip O'Neill would have a drink every afternoon. They didn't yell at each other on cable TV. They had a working relationship.